Iranian Foreign Minister Mohammad Javad Zarif warned that Tehran could move to increase uranium enrichment if the EU does not take action in regard to Washington's unilateral withdrawal from the 2015 Iran nuclear deal. Known as Joint Comprehensive Plan of Action (JCPOA), the administration of US President Donald Trump in May ditched the treaty signed by the US, China, Iran, Russia and other EU nations and began to re-impose economic sanctions lifted earlier by the Obama administration. "The Europeans and the other signatories must act in order to compensate for the effects of the US sanctions," Zarif told Der Spiegel on Saturday, once again reiterating Iran's position toward the unilateral action by the White House. Zarif underscored that Iran does not seek to abandon the deal, but could resort to partial or reduced implementation of the agreement. Iran's foreign minister rejected the possibility of direct talks with Trump unless Washington returns to the agreement. Tehran Vice President Ali Akbar Salehi, head of the Atomic Energy Organization of Iran, announced Tuesday that his government had notified the International Atomic Energy Agency (IAEA) of its plans to build a new facility for producing next-generation centrifuges to enrich uranium, the Washington Post reported. Salehi pointed out that in doing so, Tehran would not be in violation of the JCPOA. 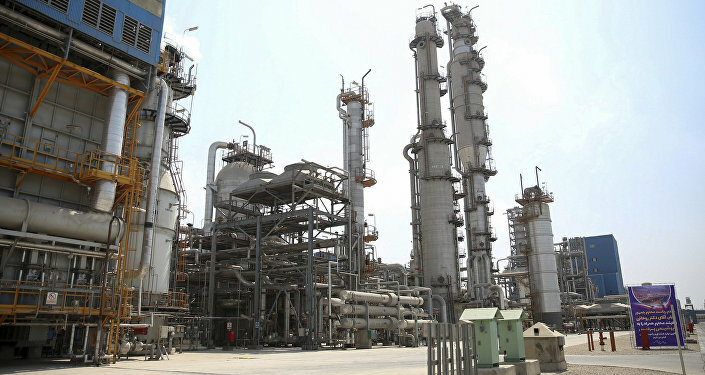 According to the text of the agreement, Tehran is not prohibited from producing centrifuge parts, but cannot put them into operation until 2025. Should the nuclear deal crumble, Iran will order centrifuges to be assembled, he said. At high enough levels of processing, enriched uranium can be used as a component for a nuclear weapon. Tehran, in repeatedly denying that the nation sought to build and stockpile nuclear weapons, has been observed to have scrupulously followed the letter of the 2015 JCPOA agreement. The move, however, became a pretext for earlier sanctions against the country by the Trump White House.